Sonic is back and in 2D! The news that every retro gamer has wanted to hear has finally arrived: Sonic 4 is coming to a console near you this summer in 2D form. While there has been a number of iterations of Sonic since its heady days on the Sega Megadrive, most of them have been poor – with 2008's Sonic Unleashed being crap icing on an even crapper cake. Sonic 4 looks set to change all that, with news it is coming 2D form, will be a straight-laced platformer and continues straight after Sonic & Knuckles. The game won't be available in the shops, however, but in downloadable form on the PS3, Wii and Xbox 360. 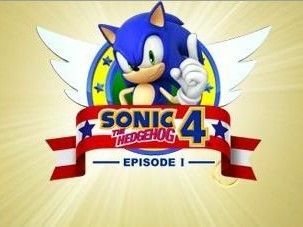 The game will also be episodic and has the official title of Sonic 4: Episode 1. It's been far too long for Sega to realise that the reason the Sonic franchise worked at the beginning was speed and simplicity – adding in a silly amount of 3D and messing with the formula, like the Werehog levels on Sonic Unleashed, is not needed and not wanted. If the release has any of the sparkle of, say, Capcom's reboot of the Street Fighter franchise last year, then it will be something rather special. If you want to see the trailer of the game, then head over to Gamespot which has exclusive dibs.